What happens when the iconic outback slab hut meets with the simple-life philosophies behind modern minimalism and the tiny house movement? 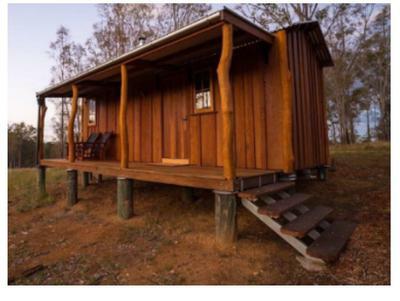 In the case of Brisbane’s Neil Frost, the result is a hand-built, transportable “bush hut” that Queenslanders are swooping on as a weekend escape or even a place to call home. As far as houses go, we’re talking the cheaper end of the market, with prices starting at $43,000 for a three-metre by six-metre cabin. Add a gas kitchen, bathroom and solar power, and the price is generally below $55,000 — even with delivery fees added. The huts arrive like some huge handmade gadget, albeit one wafting Queensland blue gum and iron bark. For transportation, the corrugated iron roof over the verandah folds down and the timber decking folds up, to be unfurled at the final resting place. Mr Frost finishes them with gnarly timber posts from a collection he’s amassed over the years in his outback travels. It’s his deep-seated passion for timber and a fierce attention to detail that sets his hand-built huts apart from anything else on the market. “I’ve just always loved timber; once it’s in your veins it just never goes away,” he said. He said people responded to the character, uniqueness and even the fragrance. 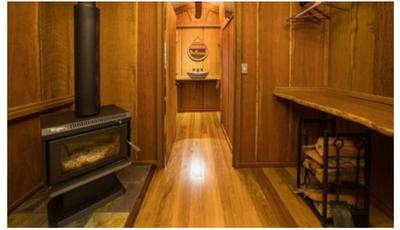 He prefers the term “bush hut” to “tiny house” because he likes to incorporate a bit more space than some of the “claustrophobic” tiny house examples he’s seen. But the motivating philosophy is perhaps the same behind those adopting a tiny house or a slab hut to live in – a simple life, a shedding of possessions, perhaps a more minimal existence with a gentler environmental footprint. Mr Frost was selling rustic timber furniture at weekend markets when he was commissioned to build a hut on a property in the outer suburbs or Brisbane five years ago. As he built it on site, the idea came to him that such a thing could be constructed in a factory, to be delivered whole. He’d even since gone back to school to get his road pilot’s licence, gesturing towards a ‘wide load’ sign on a truck at his Darra yard. he off-grid factor — with the addition of solar panels — evolved as the orders began to flow in and he has employed an interior designer to finesse some of the finer details. “They can leave here fully powered up with solar panels on the roof ready to go,” Mr Frost said. 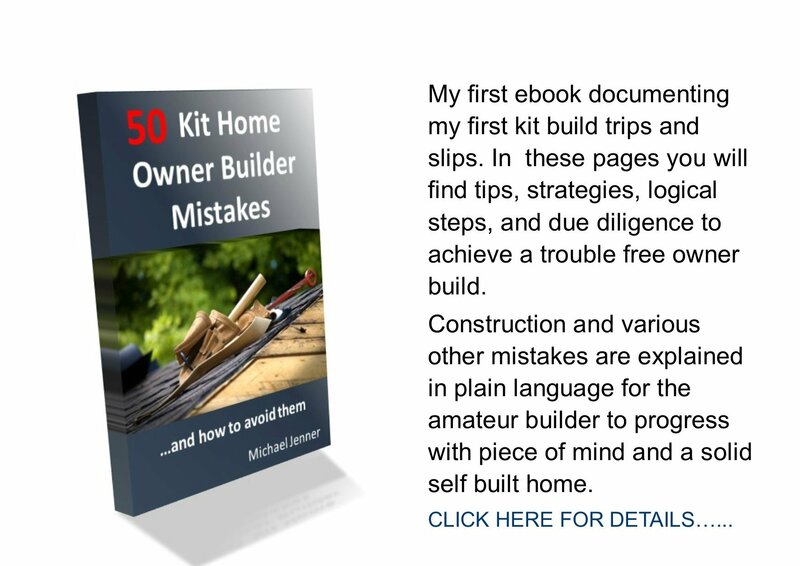 He and his team of builders at Timber Transitions, which includes son Richard, are constructing their 68th hut this month. He says while the huts have been snapped up by tourism operators such as the luxury hotel brand, Spicers, orders are beginning to flow from people wanting to make them a home for themselves or for extended family. One couple moved into a hut on their property while their house was renovated … but decided to continue living in it even after the reno was done. Another couple in the Scenic Rim bought two huts – one fitted with bedroom and kitchen, and the other with a full bathroom – for their daughter and son-in-law to live in. 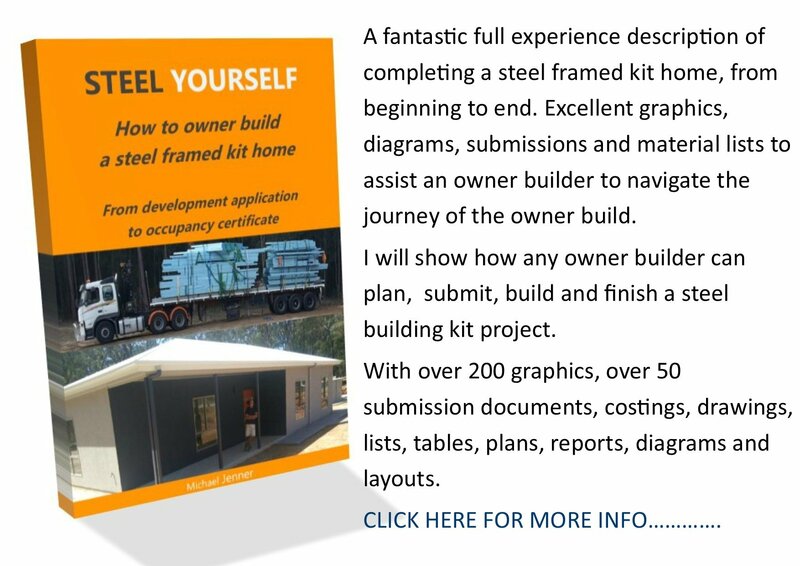 Mr Frost will have display slab huts at this year’s Maleny Wood Expo (April 29 to May 1), CRT Farm Fest (June 6 to 8) and Mudgeeraba Show (June 24 to 25).